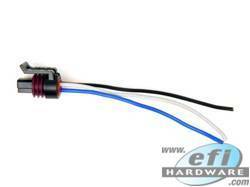 This is a high quality resistive sensor with a wide mechanical and electrical range. 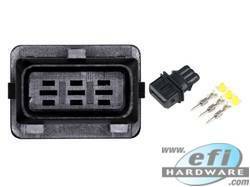 The center is open to allow this sensor to be mounted on both its front and rear faces for maximum flexibility. It is not spring loaded, which allows it to be used in both clockwise and counter clockwise applications. 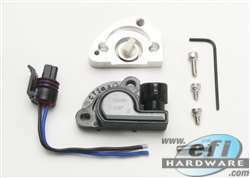 Contactless Throttle Position Sensor for Clockwise & Counter Clockwise opening 8mm throttle shaft with "D" drive. 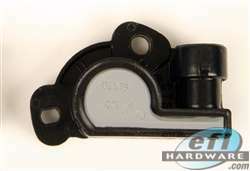 Resistive Type Throttle Position Sensors can take a reasonable amount of punishment. 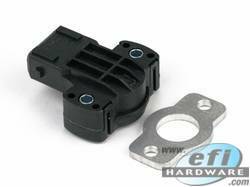 But, if you want to step up to the more robust sensor, a Contactless Throttle Position Sensor is by far the best way to go. 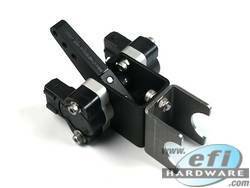 Drive By Wire Throttle Pedal Position Sensor with Twin Weatherproof Bosch Type TPS Sensors. 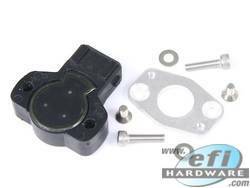 Genuine Bosch Motorsport Throttle Position Sensor. 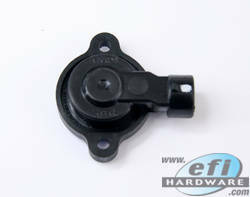 This Delco Sensor Connector is used on a wide range of GM and Holden vehicles. Delco TPS for counter clockwise rotation shafts. This switch is completely black in colour from exterior. For aftermarket applications were a 8.0mm (5/16") throttle shaft with or with out "D" shape use with H-TPSDKIT adapter & HTPSDCFL plug - Replacement switch for H-TPSDKITCOMPCCW. Complete TPS adapting kit. Works on 8mm round shafts or 8mm with "D" (flat) mill on the end includes mount and drive, TPS and flying lead plug to suit counter clockwise opening shaft. 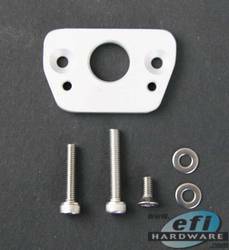 Mounting bolt centers suit 32mm or 33mm PCD. will fit up to 5/16" or 8mm shaft with "D" mill to shaft or plain round shaft end. Uses Delco TPS switches used on Holden Commodore & Camira which are widely available should a replacement ever be needed. Complete TPS adapting kit. Works on 8mm round shafts or 8mm with "D" (flat) mill on the end includes mount and drive, TPS and flying lead plug to suit clockwise opening shaft. 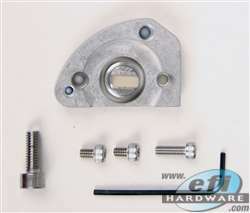 Mounting bolt centers suit 32mm or 33mm PCD. Will fit up to 5/16" or 8mm shaft with "D" mill to shaft or plain round shaft end. 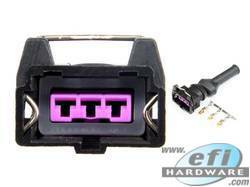 Uses Delco TPS switches used on Holden Commodore & Camira which are widely available should a replacement ever be needed. NOTE: TPS and Throttle Body Not Included. This connector is supplied with Gold Plated Pins. 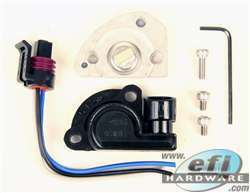 This Throttle Position Sensor comes with a spacer to allow clockwise or counter clockwise operation. This TPS is driven by an 8mm shaft with a 6mm D drive.